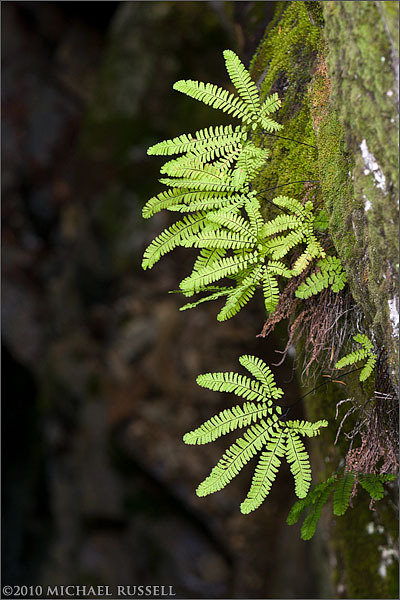 A Maidenhair Fern (Adiantum pedatum) clings to the side a the cliff above the Muddy Fork of the Cowlitz River in Mount Rainier National Park. I am still sorting through a few 2010 images that I have not fully processed – most from my last trip to Mt. Rainier National Park. This shot was taken looking down into Cowlitz Box Canyon. More from this location to come soon!